This month, I invite you to join me at the watery edges of Neverland’s Mermaid Lagoon* two weeks after The Day My Life Changed Forever. My “lagoon” was actually a cheerfully-appointed guest bedroom in MN in the home of dear friends. The background sounds of happy children and fiddle music as well as the sunny yellow walls belied the darkness I would explore in that space. The day after I arrived, the numbness from the initial shock of betrayal had worn off. Somehow I had survived the intense flurry of activity as I said my anguished farewells to my many loved ones in that city and crammed as much as I could fit of my belongings into a small Honda. And now, curled up in the bed I was going to spend most of my time in for the next few weeks, I wrote a card (with a mermaid on the front) to my former husband, letting him know that my plan was to dive into the watery emotional realms that he found so threatening. I could almost feel his sigh of relief at the 350 miles that separated us as I stated this intention. I decided to follow the advice offered in the titles of Pema Chodron’s and Mark Matousek’s books, which happen to share the same title: When You’re Falling, Dive, as well as Miriam Greenspan’s book Healing Through The Dark Emotions. Being broken open (another great book I read during this time) by pain led me to an Inner Wisdom that I had never known before. Most of the decisions I made about what to do and what not to do during those first weeks of this time of transition, just seemed to bubble up out of the blue. They also felt non-negotiable so surprisingly, (even though in the beginning they were not AT ALL what I wanted to do most days) I did not question them. Exercise every single day out in nature. Do not touch alcohol or do anything that will numb the pain. (I did not even read novels or watch movies until very recently as they were typical forms of escape for me) Full disclosure – I did get a prescription for anti-anxiety drugs that I took for the first month or so mostly in the (failed) hopes of being able to sleep at nights, but did not finish my last bottle and have never touched them since. Feel every single emotion all the way to the depths, even if it feels unbearable. So I dived in and rarely emerged from my cheery little hell lagoon, except occasionally, to show my face to my very worried friends in an attempt to allay their fears for my sanity. And of course I went out for my daily walks along the paths next to Minneapolis lakes, creeks and rivers in the cloudy, blustery chill that had coincidentally arrived to abruptly turn summer into autumn the day after I arrived. I was unable to eat or sleep much and spent my many waking hours reading the words of trusted teachers, eventually filling up several journals with illegible scribbles. That was between bouts of bone-chilling, teeth-chattering terror over the bleak prospects for my future (“would you like fries with that”? ), pillow-muffled howls of grief and despair for the loss of my beloved and all of the other heartbreaking losses of loved ones – especially my dog and several children, my home and my “safe, secure, and happy” former life. There were also occasional flashes of blinding rage, which resulted in what I considered at the time to be brilliantly crafted, e-mails usually sent out shortly before dawn, designed to cause as much pain for my former husband as I thought he was causing me. Although he did not respond to my tirades (which made me even more furious), I know he was feeling hurt as well. It felt powerful at the time to express my wrath, but I regret adding to his pain. I floundered, with no hope of ever resurfacing, certain that I would never be happy again. My strongest wish was for death, which was more than I could hope for, because suicide goes against my belief system. Whether or not an afterlife or reincarnation exist, my belief that there is no escape from our tests has kept me alive through many bouts of suicidal depression. That, and not being able to bear the thought of how this act would affect all of my loved ones – especially the children in my life. And yet, I did not drown in my tears. Little by little I began to swirl gracefully around in their currents and discovered myself swimming with increasingly strong strokes. Eventually, much to my astonishment, I found buried treasure. The magical synchronicities, sparkling joy, bubbly energy, glowing gratitude, radiant love for myself and all who were involved in that transition, as well as other precious gifts I found there, gave me what I needed to begin anew in a sweet little town with a wonderful community, nestled in spectacular natural beauty but near a fabulous city. I have a new circle of friends in addition to my old ones. And I joyfully dance and sing every day – and there is so much more! Who knew that my new life would be so much happier than the one I had been devastated to leave behind?! Certainly there are times when I dive back down to the murky bottom, but now I trust that I will resurface with even more riches. Whenever you are frantically gasping and struggling to tread water, or you are panicking as you unexpectedly find yourself over your head, I encourage you to turn it into a graceful dive. Even if it starts with a belly flop, or you think you only know how to do an awkward dogpaddle, do it. Do it with the belief that you can discover your own gifts. I offer clues in my website and newsletters, or you can sign up for a free consultation and we can design a treasure map – for yourself and/or your family. Also lurking at the watery edge of Neverland is Captain Hook. Could pirates have anything to do with that treasure chest? Find out in next months New Moon Blog. 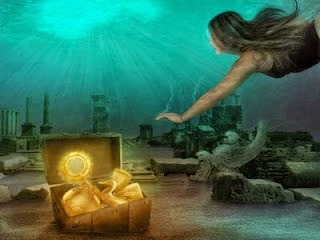 Be sure to leave a comment if you have also had the experience of finding treasures in the deep. Remember, you can sign in as anonymous by clicking on the box underneath your comment that says: COMMENT AS and you will see the bottom option is ANONYMOUS. Just click on that. You are welcome to tell me in your comment who you are or let me try and guess. 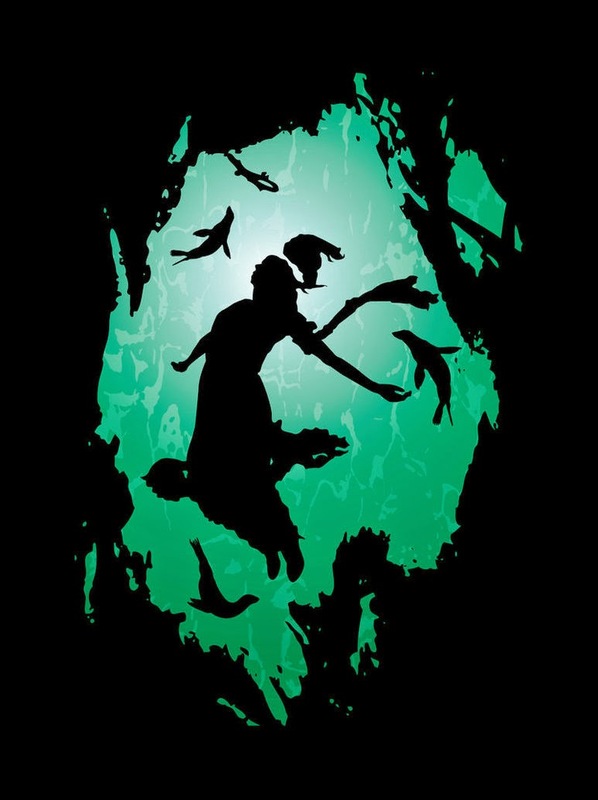 * When I made the hasty promise at the end of last month’s episode (Scheherazade and Tinkerbelle join the Bee team) that I would take you to Neverland this time, I knew there were myriad common themes from “Peter Pan” and the next part of my story. I played with several, but discovered after many attempts that I could not figure out how to do this within the confines of a short blog post, and then I was lured into Mermaid Lagoon. So for now, I will skip over that two week period following The Day My Life Changed Forever and plunge into the heart of my story. 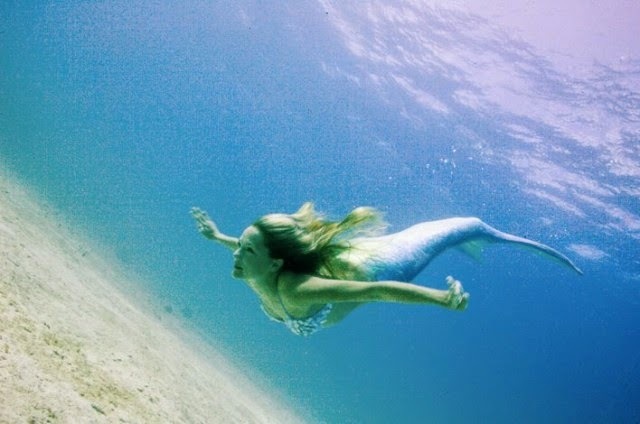 Please forgive me – you know how enticing mermaids can be! Insightful, heartfelt writing that speaks to the twinned cores of despair and hope we all experience. Michelle's lagoon is not an abyss but an amniotic realm of becoming. I rejoice in the newborn, amazed, and wonder-eyed being that emerged. I am deeply touched by this eloquent praise. I suspect I know who you are, but there are a few possibilities, so I hope you see this or at least feel my love and gratitude! Challenging and rich. A deep dive into life and the full spectrum that it is when it is lived to its fullest. Thanks! Thank you, Anonymous! I wish you had given me a clue who you are so I could thank you, but here comes a big wave of love! Of course I know who you are! I am so sorry to hear about D. I will be holding you in my heart as you go through this HUGE transition. Fortunately you are young, drop dead gorgeous, talented, resourceful, resilient, smart, savvy and have many people who love you dearly. AND you know have a masters degree- woo hoo! Yay you! Thank you for sharing your story and for your kind words. I adore you! I am touched by your heartfelt reflections about your pain, as well as your open hearted, loving responses to comments. I am on my own path of learning to love and accept myself in ways which I learned and have practiced being there for others. Thank you for remindesr about surrender (not easy!! ), and about opening to joy and connection (to others, nature, your body). It's inspiring!